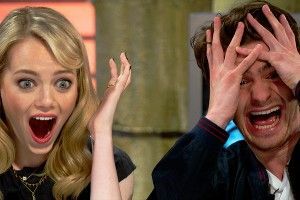 The big news from this weekend’s box office breakdown is that, as expected, The Amazing Spider-Man crushed it. Opening on July 4, Eduardo Saverin’s Spidey rolled into $65 million in its first weekend and $140 million in its first six days. As EW explains, those numbers are actually lower than the pace set by all three of Tobey Maguire’s Spider-Man movies, none of which had the benefit of boosted 3-D and IMAX ticket prices. But considering both the possibility of the quickie reboot flopping altogether, and the fact that this is just the first installment of a whole new franchise, the numbers (and an A- Cinemascore) are wholly promising. The other strong performers from this weekend include Ted, which pulled in another $32.6 million for a 10-day total of $120.2 million, and Sundance hit Beasts of the Southern Wild, which rode a whole new wave of gushing reviews to a monster limited-run release. As Deadline reports, Beasts “grossed $375K, averaging a killer $19,673 in 19 locations — the best screen average of any film in the overall box office.” Next week, the movie goes to 70 theaters, where it’ll look to continue its Cinderella run to glory and fame. But the most promising turn of events, at least for Friday Night Lights fans (a.k.a. sensible people) — Savages, the third big movie this year from FNL’s own Taylor Kitsch, did not completely flop! Tracking was slow going into its release, and so expectations were decidedly lowered for the Oliver Stone crime flick. But it actually landed OK, pulling in $16.2 million for what EW calls a “sturdy $6,150 per theater average. For … Kitsch, Savages is certainly not a career galvanizing hit, but it’s his most successful debut this year — at least relative to its budget. Kitsch has already starred in two high-profile flops this year, Battleship ($64.3 million against a $209 million budget) and John Carter ($73.1 million against a $250 million budget), but Savages was more modestly budgeted — Universal and Relativity spent $45 million on the film. All in all, an unexciting result.” Ah, sure, unexciting. But certainly not disastrous! And now, based on this evidence, and on my standing as one of millions of loyal members of the Make Tim Riggins a Movie Star movement, I have a humble, counterintuitive, cockeyed theory to suggest. Involving Kitsch’s hair. OK, bear with me. In John Carter, Kitsch sported long Riggins-esque hair throughout the entire flick, and that movie was a flop of epic proportions. In Battleship, Kitsch has Riggins hair for a little while, before it gets cut off because he’s in the military, and that movie was a flop of regular proportions. In Savages, Kitsch has regular, non-Riggins hair, and that movie was totally not a flop. In conclusion: As nuts as it may seem for fans of Riggins’s flowing locks, based on the evidence heretofore, should Kitsch shave his head completely for his next movie? Feel free to discuss among yourselves.